I am an award-winning poet, the author of a poetry chapbook on magic and rituals, and a graduate of the Brooklyn Fools six-month tarot immersion program (something my more academic self has been quiet about). I have been working with the cards for personal reflection over the past three years and was inspired to to read for others in my own way: tarot reading as poetry. 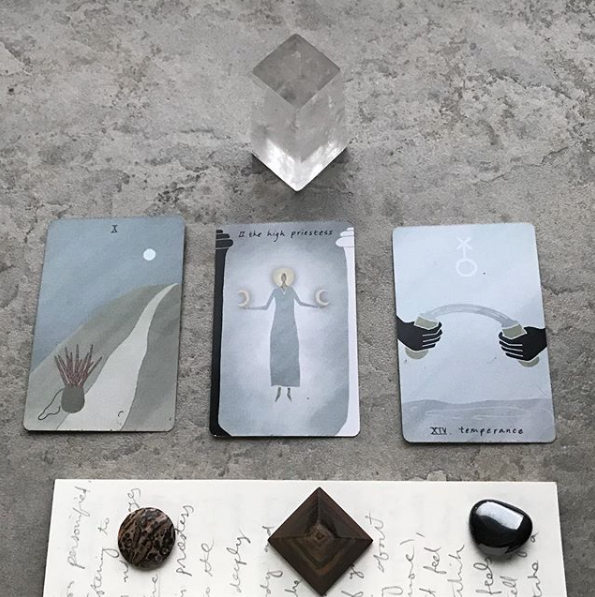 I draw three cards around a question or topic of the querent's choice, send an informal reading and photo of the cards by email, and then deliver an intuitively guided poem by postal mail. 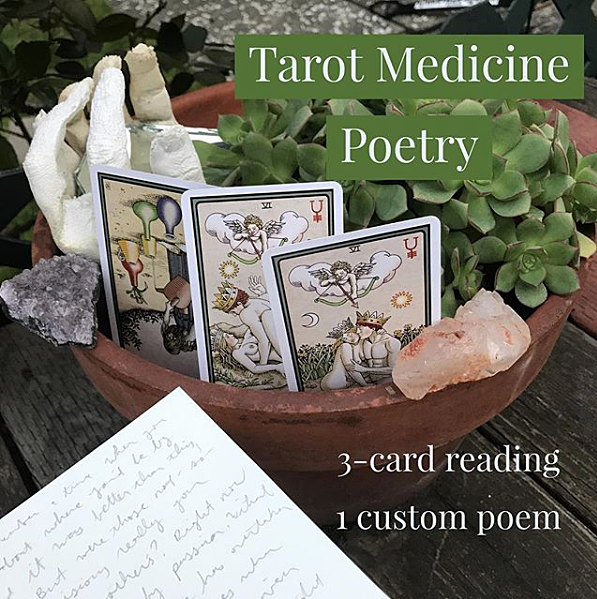 What does a tarot medicine poem look like? Check out "Temperance" and "Becoming the Magician," published at Yes Poetry with the permission of each querent. My favorite poems feel like medicine to me. I hope to extend this feeling to others. This offering is available in my shop. Sarah Lyn Rogers's romantic way with words is deep felt and brought me to tears. Her understanding of the archetypes and symbols of the tarot is refreshing and soothing to the soul. This offering is elegant and revolutionary, upgrading the usage of tarot. It feels more in alignment with the way I, as a student and teacher of tarot, foresee this age-old practice evolving, as a tool to inspire healing through beauty. Thank you, Sarah, for your gentle way. This poem is a treasure I will hold on to. In addition to Tarot Medicine Poetry, I also offer a simple 3-card reading by email. This too is available in the shop. Stay tuned for future updates related to tarot and oracle cards! I've got something cooking.